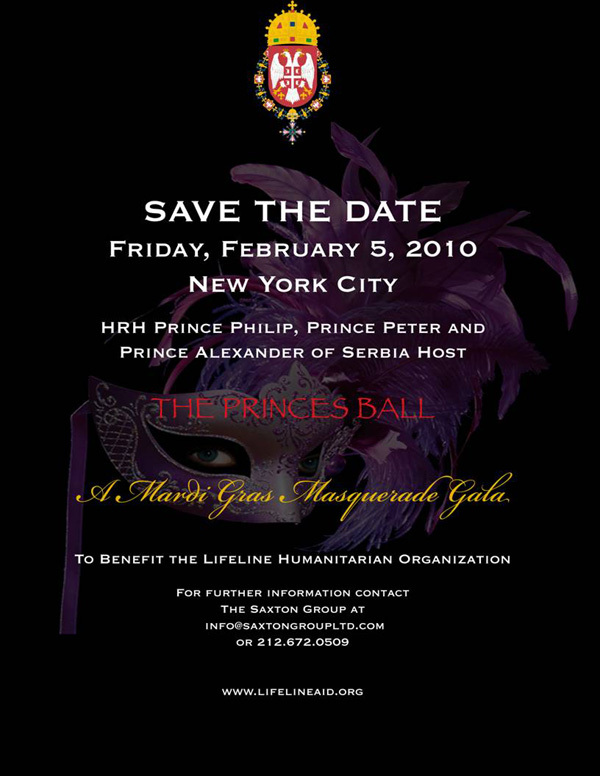 Proceeds benefit The Lifeline Humanitarian Organization, founded by patron Her Royal Highness Crown Princess Katherine of Serbia in 1993. Lifeline continues to provide the most desperately needed humanitarian aid for Serbia’s medical facilities, handicapped children and orphans. Serbia has the largest refugee population in Europe. The country is also overwhelmed by both the highest incidence of breast cancer in Europe and the highest infant mortality rate. Lifeline is responsible for providing incubators to neonatal intensive care units throughout the country.